This is what my dough looks like when it is done mixing. Over the years I’ve tried to keep track of all of the things I did wrong making GF bread as well as the things that worked. So here is a list of some of these tips. If your bread sinks in the center. Possibly your dough is too wet. Baking time may not be long enough, if bread is not done in the center, that will cause it to sink. You may be putting too much oil or butter on top when you smooth out the dough. If you use a second mixing cycle in your bread machine or punch down the dough for a second rise. 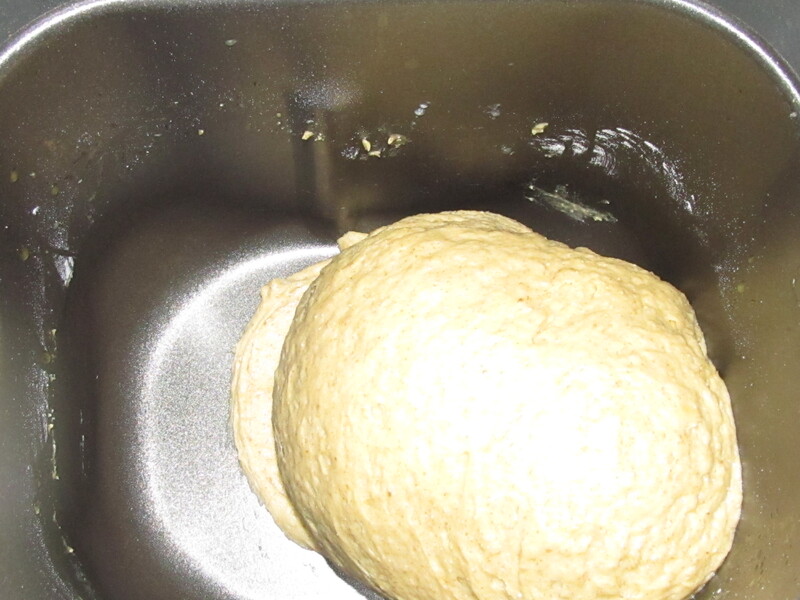 GF dough does not like to be disturbed after the first rise. If you are have a recipe that calls for a different GF flour than you are using. The reason for this is GF flours are so different, they do not absorb liquids at the same rate. Some absorb more liquid than others and some just don’t want to absorb liquids at all. For example Coconut flour absorbs much more liquid than rice flour. This can also be the reason your breads turn out so dry, even though it does rise.